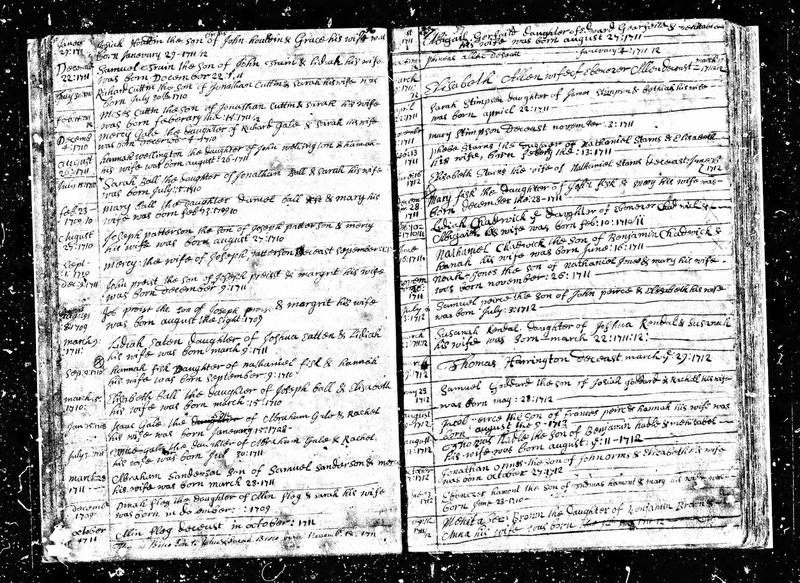 "Massachusetts, Town and Vital Records, 1620-1988," digital images, Ancestry.com (http://www.ancestry.com), "Watertown > Births, Marriages and Deaths," page 37 (image 202 of 3991), Samuel Peirce birth entry. Samuel Peirce (1712-1772) was the son of John Peirce and Elizabeth Smith of Watertown, their fourth child of seven. He married Abigail Stearns (1715-1798) in 1739 in Watertown, and they had nine children.